As the youngest son of a Noble Merchant, an easy life lay before you. But the call of adventure beckoned, and so, you left your home for a life of action and danger. Sea serpents, storms and tattered sails have all proved perilous as the years passed. You've taken ships and defeated fiends, at the side of your instructor, the Master Corsair Sinbar. But your thoughts always return to Kara, the Caliph's beautiful daughter. It is for her you devote your skill and honors. And it will be her hand in marriage that will be your reward for attaining your goal of becoming a Corsair. Your adventure begins now, on the hidden isle where Sinbar tests his pupils. Al-Qadim: The Genie's Curse is an action role-playing game set in the Al-Qadim campaign of the Advanced Dungeons & Dragons pen-and-paper RPG. 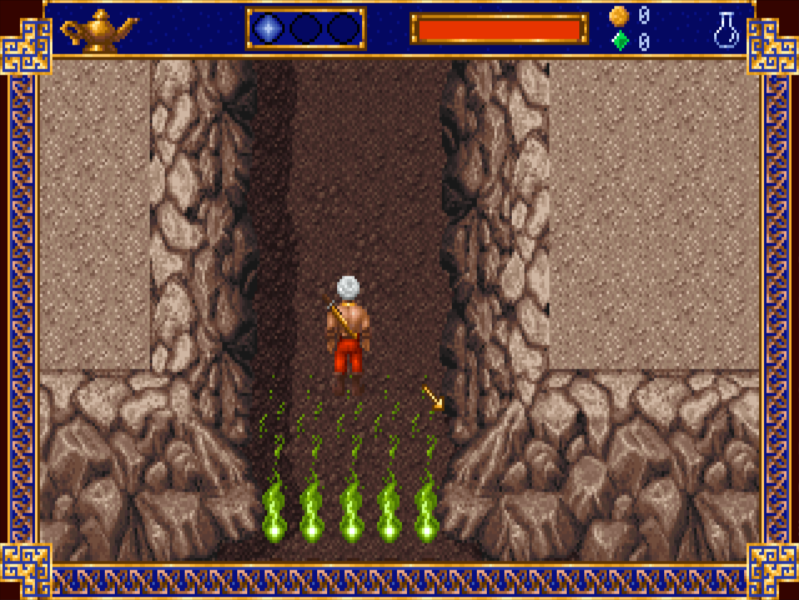 The gameplay alternates between visiting friendly areas, where the hero can talk to characters (including choices of dialogue lines and moral behavior), and exploring dungeons, where enemies must be fought in action-based combat. The hero can use melee weapons, a slingshot for ranged attacks, or cast magic spells. 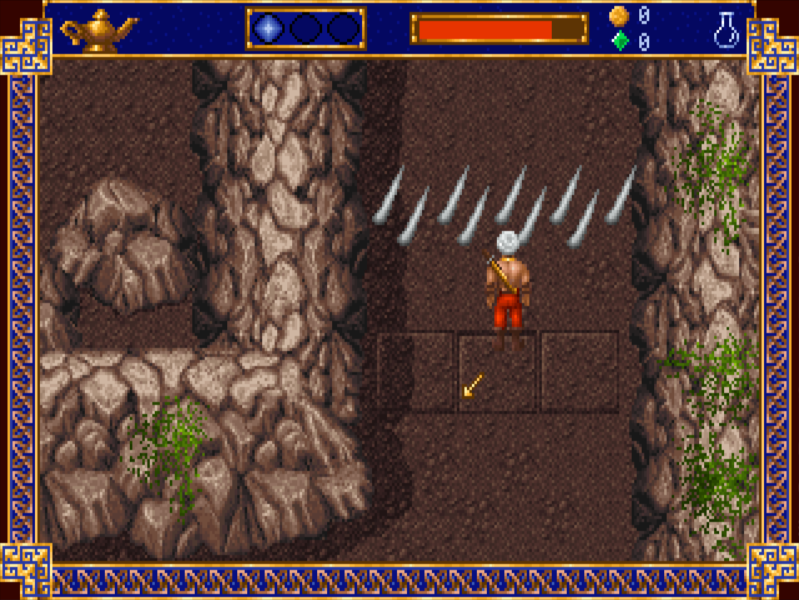 Experience points are awarded for defeating enemies; the player can raise the statistics of the protagonist should he gain a level. Acquiring special items and training may also permanently increase certain attack parameters.